How To Bypass Credit Card & ATM Skimmers? What are Skimmers? It’s a small device that helps cyber criminals to steal the magnetic strip information from your credit/debit card. The card skimmer reads the strip, stores the card number & even the PIN number can get captured too. Later, thief scoops up the information to use it or sells it for its own good. Skimmers are one of the most successful tools of the 21st century that are attached to ATM’s to harvest data from every individual that swipe their cards. Earlier this year, several cards & ATM skimmer incidents were reported in the Fort Worth area. The U.S. Secret Service has also taken a nationwide initiative to clamp down ATM skimming incidents happening around. Based on statistics the agency is capable of recuperating around 20 to 30 skimmers in a week. However, the sad part is the only way to realize that you’ve been skimmed is when charges begin to appear on your statement which you aren’t authorized off. But don’t worry, there are several ways which can help you to protect yourself from these insidious attacks. Initially, learn how to detect Credit Card & ATM Skimmers? Also Read : How To Protect Your Small Business From Cyber Threats? 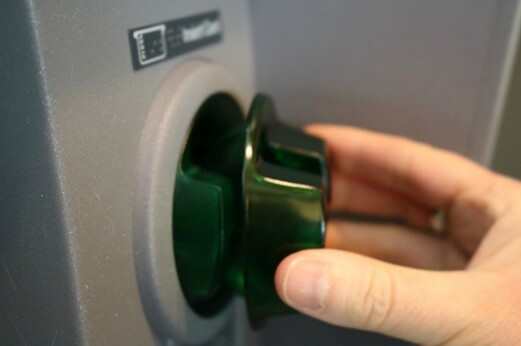 Consider the following things when inspecting your ATMs for skimmers. Remember, you have to pay detail attention to spot ATM skimmers, so be vigilant! ATM Skimmers generally matches the rest of the machine in terms of appearance and color. Anytime you observe a mismatch, understand that it’s likely to be a skimmer. Observe the bottom panel of the ATM Machine. Does it look different? This may mean that thieves may have put an overlay over the PIN pad to accurately capture the PIN number. Be attentive while typing the PIN number, if the keys look loose or spongy, go to a different ATM. Market is full of a new type of skimmers that get fitted easily inside the card reader slot. Criminals purchase them from Dark Web. Watch the video to know how skimmers are placed and extracted from ATM machine. When you approach an ATM, try wiggling the machine to spot anything unusual. These machines are well-constructed, so anything shouldn’t be jiggling. Look for the hidden cameras. Check for any cracks or pinholes around the machine. Exposed wires, electrical items or cords on or near the machine. As thieves have to be ‘unobserved’ while installing and collecting back the skimmer after it has collected a number of people’s data, they mostly select those ATMs that are less trafficked. 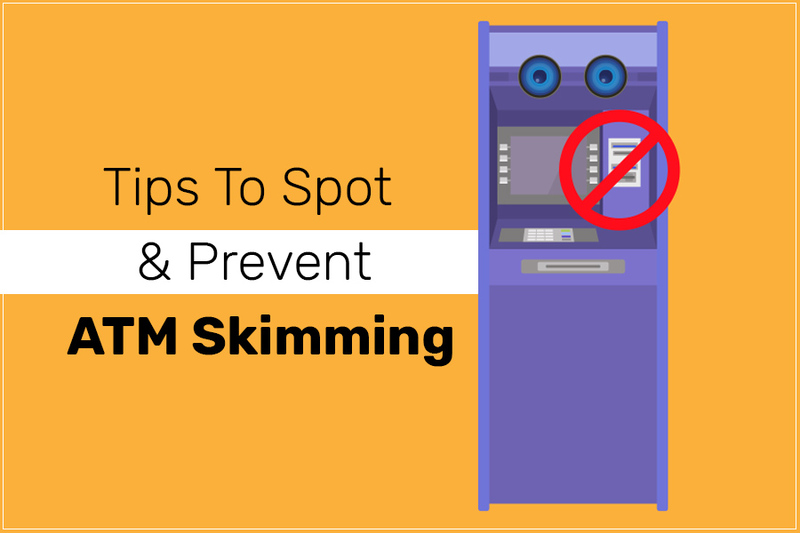 So, try avoiding using those ATMs, and if you do, look for all the above signs that can help you to spot ATM Skimmers. Trust your instincts, if something doesn’t feel right, use another ATM. Must Read: How To Keep Cyber Stalkers Away From You? The easiest step you can put up to prevent your PIN from stealing is to cover your hand while entering the PIN with your other hand. Be alert and always pay attention to whether someone’s watching you while you are in the ATM room. Use a credit card (preferably with chip) instead of debit card. Keep a check on your accounts regularly. Set notifications and alerts on your checking accounts and credit cards. Visit high-traffic ATM to avoid skimming. Notify your bank when you go overseas. It can help them to verify a transaction if anytime they suspect a suspicious activity in your account. Fortunately, many banks are becoming better at detecting fraudulent transactions, so may not process any suspicious charges until you verify that. While there’s no ultimate way to protect yourself from crooks, but these effective measures and tips can certainly help you to be aware of potential threats. Immediately call the cops and don’t use the machine. If you’ve already, call your banks and ask them to issue you a new card. Freeze your credit/debit card instantly, this can prevent you from hassles of getting a new card. Find any evidence of fraud? Call 911 immediately! Think Twice Before You Swipe Your Credit Card and Beware of credit card & ATM Skimmers! Have you ever been skimmed? How did you deal with it? Do share your experience in the comment section below!